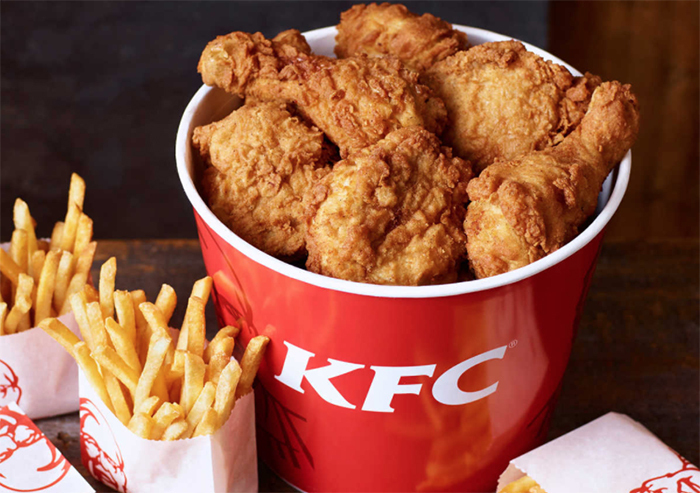 Fast food giant KFC has announced it will trial vegan options with “the amazing tastes of KFC” this year. Last year, after KFC announced plans to develop meat-free options, over 12,600 people signed a petition encouraging the fast-food chain to create a vegan-friendly version of its popular fried chicken dishes. Now it looks like the global fried chicken giant is about to do just that. According to KFC’s Innovation Director, Jack Hinchcliffe, the brand will be trialling new vegan options in stores starting later this year. The company previously caused controversy amongst its non-vegan customers with an advert that reminded them of where their food really comes from. ‘The Whole Chicken’ advert featured hens appearing to strut their stuff around a warehouse to the tune of DMX’s “X Gon’ Give it to Ya” to show that KFC uses the whole chicken in their restaurants. However, rather than enticing diners to buy a family bucket of wings, the advert had the opposite effect on many of the chain’s customers. Customers were left debating whether they actually feel sympathy for the lives of these sentient beings, rather than viewing them as chicken nuggets.